There are four tented camps. 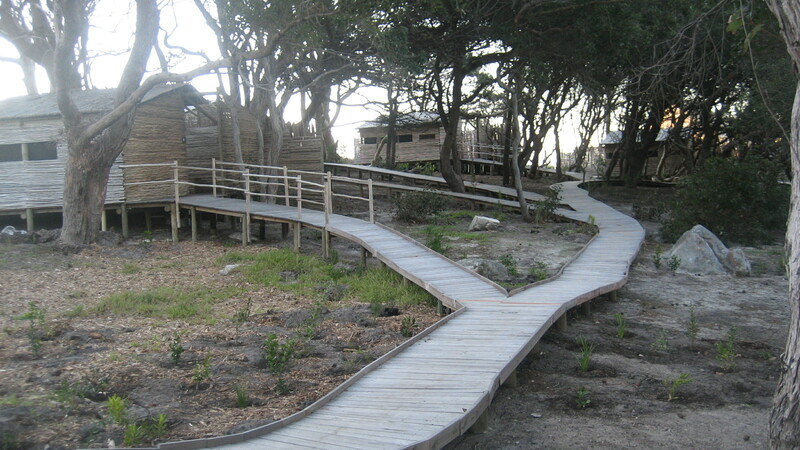 They are comfortable, permanent structures, originally built as part of the proposed Hoerikwaggo Trail, from Cape Point to Table Mountain. 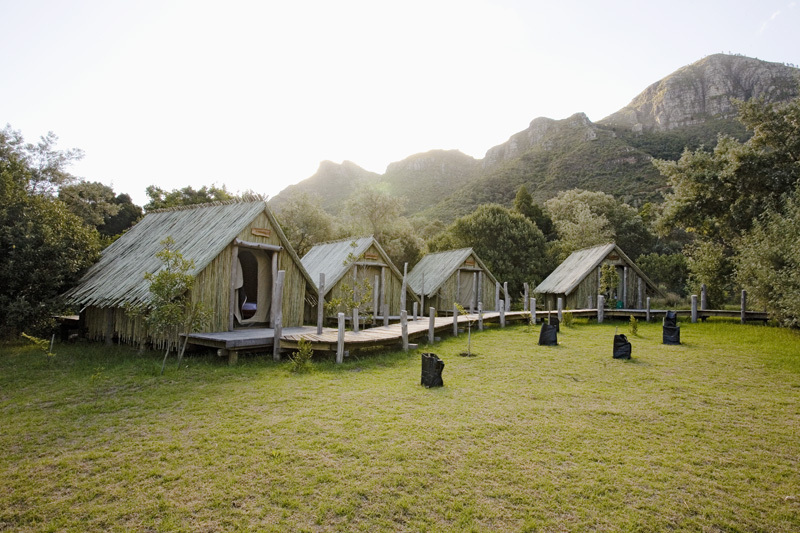 The camps are situated at Orangekloof, Silvermine, Slangkop Lighthouse (Kommetjie) and at Smitswinkel Bay, near the entrance to Cape of Good Hope Nature Reserve. There is access by vehicle to all the camps, with special arrangements having to be made to get to the Orangekloof camp, as it is in a restricted area. 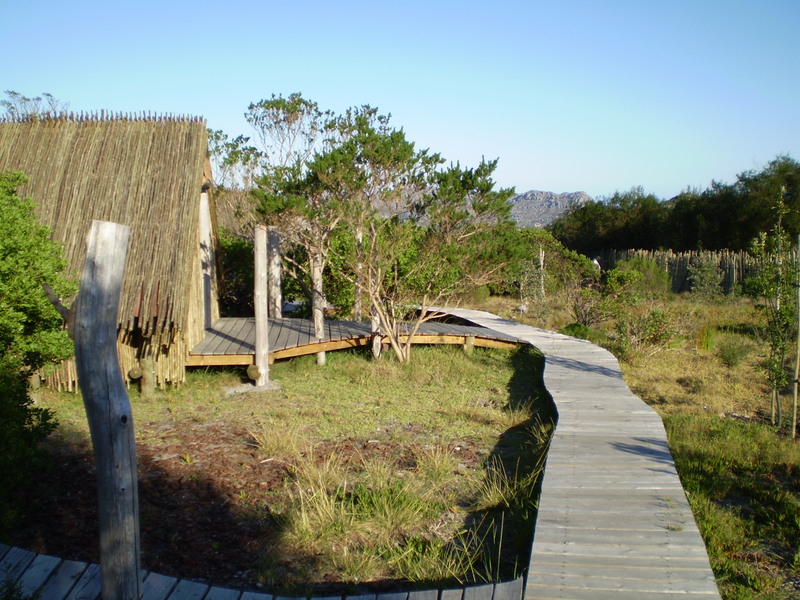 Although they are all situated on the Hoerikwaggo Hiking Trail, you do not have to be walking the Trail to book the facility. The camps sleep up to twelve people in mostly two man tents, although Orangekloof and Silvermine each have one four sleeper. The tents are booked per unit, not per person. The tents are comfortable fixed structure with floors and external covering over the canvas. Each camp is unique in design, to fit in with the environment and take local conditions in to account. Except for the camp at Smitswinkel Bay, there are communal ablution facilities with hot showers. 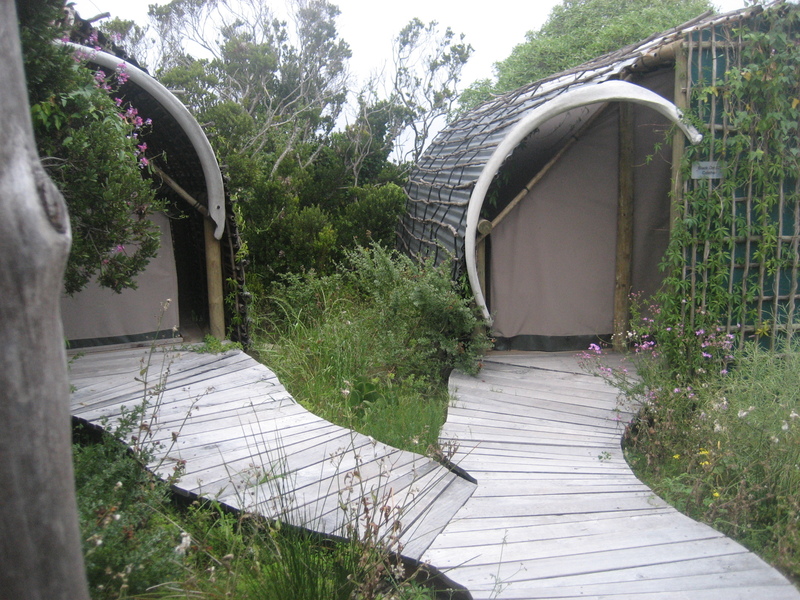 The Smitswinkel tents each have en-suite facilities. The beds are comfortable pine beds with good mattresses, but no linen is provided. Each camp has a fully equipped central cooking area and braai (barbeque) facility. These are all unique, with slightly different configuration and cooking equipment. Generally they are sufficiently equipped to cater for most catering requirements. 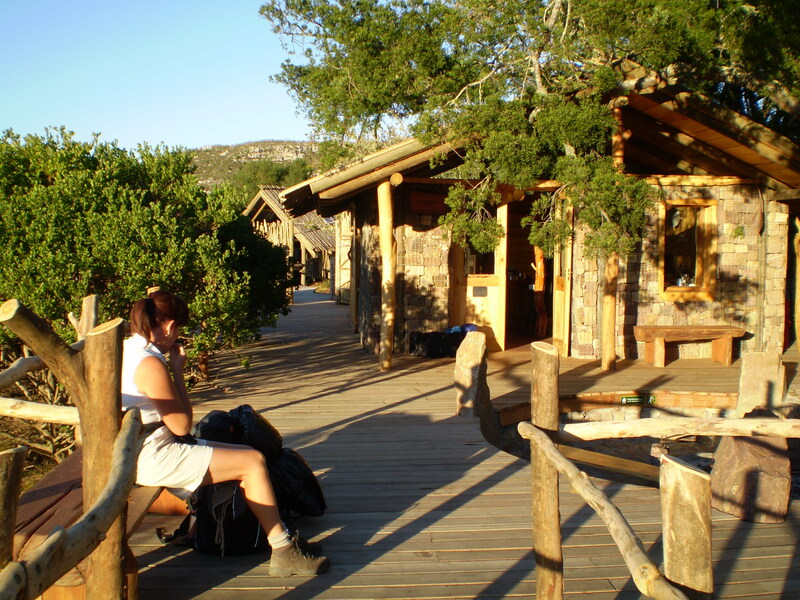 Unless you have booked the whole camp you will be sharing facilities with others, some of whom may be hikers and some of whom just there for the accommodation. More information and background on the Hoerikwaggo Hiking Trail is provided under a separate heading.